After CAP National Commander Maj Gen Antonio J. Pineda noted that other nations also maintain their own Civil Air Patrols, National Headquarters began exploring the possibility of using “U.S.” in first full references to the organization’s name. The only difference between “Civil Air Patrol” and “U.S. Civil Air Patrol” is one of style, not substance, top CAP officials say. Col Gordon W. Odell, CAP general counsel, used a similar comparison. “There’s an organization we know as ‘IBM,’ Odell said. Its name is International Business Machines Inc. IBM is a trade name.” “U.S. Civil Air Patrol is a trade name just as IBM is a trade name. Use of the trade name does not change who or what we are,” he said. The new approach will be reflected on the Battle Dress Uniform tape and some CAP name tags. 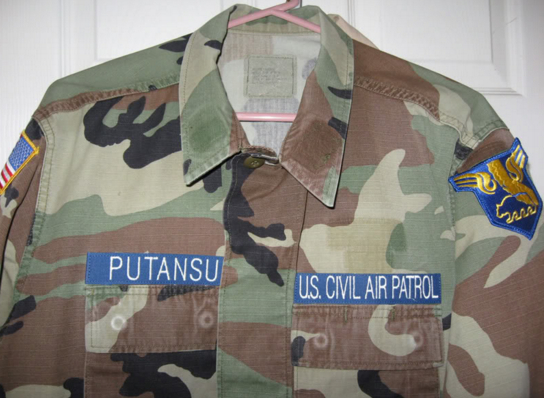 The March 2007 National Board approved changing the BDU tape to U.S. Civil Air Patrol effective immediately with a mandatory wear date of March 1, 2010. On May 23rd, the National Executive Committee also approved changes to the name tags worn by senior members on the new corporate uniform. Members may begin wearing these name tags immediately with a mandatory wear date of March 1, 2008. The silver two-line name tag worn by senior members on the new CAP distinctive corporate service coat. Other name tags will remain unchanged. Be the first to comment on "Civil Air Patrol changed to U.S. Civil Air Patrol"